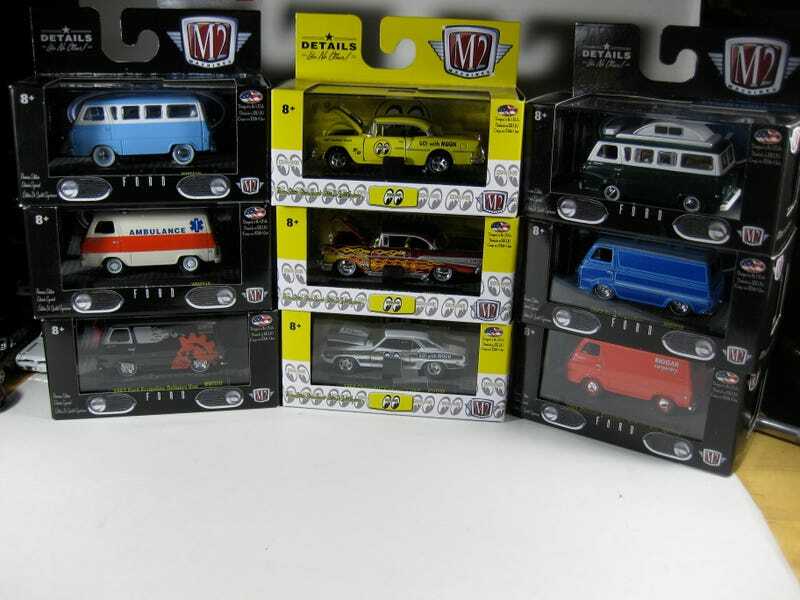 Acting on my complaints of not having access to a Walmart, Prince Plasticprints came to the rescue and graciously offered to procure me the Econoline set and to relieve him of extra Mooneyes exclusives that he had. A quick paypalment later and here they are at my doorstep. And as a RAOK he threw in some amazing Walmart zamac exclusives. I’ve never seen one in person but now that I have I think I’m hooked on that zamac crack! THANK YOU SIR!!! Again...Thank you Plasticprints. I’ll have to figure out something to send you as a proper thank you. Thanks for viewing everyone and I hope you enjoyed!